^^^ This Tube Vid asks a very Important question. St Paul *Did not* Re-invent Jesus. This video is wrong about Paul not ‘changing fundamental doctrines’…. he did exactly That…. which was what God had saved him and commissioned him to do. He was not saved to simply preach what Christ and Peter had already preached before him. He was given *Special revelations* concerning our ‘Dispensation of Grace’…. which focus’s on Gentiles being saved by the Cross, where as Christ and Peter had preached ‘Redemption of Israel from Roman oppression and the establishment of the Kingdom of David… in Israel… as promised by God. Thus The preaching of Jesus and Peter was Nationalistic and Theocratic, whereas St Paul’s gospel was addressed to individuals, and was universal…. open to all… and the fellowship he fathered was a voluntary private society. 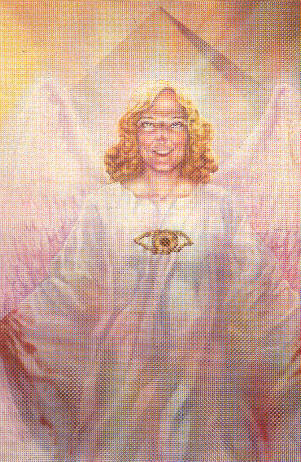 Of Course St Pauls message still includes many of the fundamental truths about Jesus being the Son of God, etc, yet it is the differences between what Paul Preached from What Christ preached, which must be appreciated to apprehend the amazing truth that with the conversion of St Paul, God was beginning a completely new dispensation… with a new Gospel message. One of Satan’s greatest deceptions has been to hide this amazing Novelty of St Pauls Message from mankind and to establish an ‘orthodoxy’ which is hostile to the truth. Today when I try and tell Christians there is more than one gospel in the bible most of them recoil in horror! It’s a thoroughly alien concept to their minds… a blasphemy! They refuse to admit the utter confusion that exists in their own ‘orthodoxy’. Their belief that Baptism is necessary for Salvation… that if someone is sick but cant be healed… that they must not have ‘enough faith’, etc…. and worst of all the preach a false Gospel of Faith plus works… and attempt to live a life of slavery to the Old testament… and think nothing of lobbying the Government to criminalise Homosexuals, drug addicts, etc. What is good about the above video is that though it appears to be heading down a blind ally. at least they are asking the right sort of question. I look forward to watching further episodes… even though I expect it to absolutely fail to appreciate the magnitude of what St Paul was commissioned by God to do. This is an all too common problem for those who come as far as asking why St Pauls preaching ‘contradicts’ what is found in other NT writings. The Objectivist Atheist James Valiant seizes on the differences between what Paul and Jesus Preached and boldly proclaims ‘the Christianity of St Paul’ was a Gentile movement and Re-hash!… as if this fact was supposed to be a Nail in Christianity’s coffin… when in reality he is actually verifying an important scriptural truth that millions of so-called ‘orthodox’ Christians…. blinded by centuries of False tradition refuse to believe. They prefer to deny, to re-translate, to perform Back-flips … ‘spiritualising away’ the stark conflicts with what St Paul Preaches…. free salvation via faith alone….calling upon the name of the Lord *Shall be saved* ….from what James, Jesus, etc preach about faith without works being dead… about only those who ‘endure unto the end’ will be saved…. and that some who said ‘Lord’ ‘Lord’… being accursed. 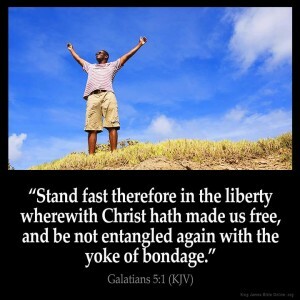 Paul preached Salvation without baptism…. Jesus commanded Peter to preach Baptism as necessary for salvation…etc etc. 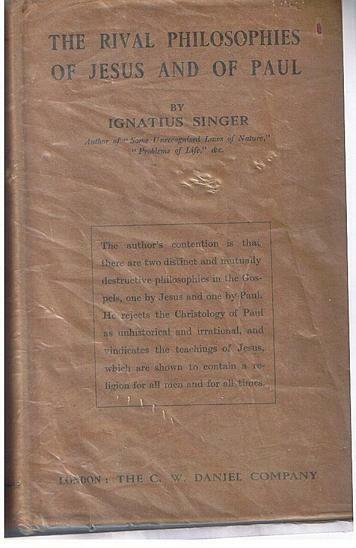 I even own a book called ‘The Rival philosophies of Jesus and St Paul’, By Ignatius Singer in which he correctly detects vast discrepancies between the doctrines of Jesus and Paul…. yet not appreciating why these differences are there, not seeing any way to reconcile them as a unity… he assumes he must make a radical judgement…. and decides to call St Paul a Heretic and a False Teacher! He deludes himself that by demonising st Paul… he is being faithful to Christ. This is truly sad because having discovered these apparent ‘contradictions’, Ignatius was on the verge of uncovering one of the most important doctrines necessary to understand the scriptures… the Need to ‘Rightly Divide the word of Truth’. Once the dispensational nature of the scriptures is apprehended, all these differences take on Great Power and importance, and the Bible unfolds before your eyes. Doctrines become clear and purposeful. The importance of the 1611 King james Bible also comes to the fore as though the translators were completely ignorant of the Doctrine of Dispensationalism…. their faithful translation of the scriptures perfectly preserves the doctrine of Dispensationalism… so that it can be discovered by those who look. This was not an intentional scheme by the translators but a display of Almighty God’s hand in getting The pure scriptures into the hands of the English speaking peoples of the world. it is an interesting fact that almost everyone whom rejects the authority of the KJV is also absolutely ignorant of the dispensational scheme of the scriptures… any that are aware of if foolishly reject it too on the basis that In their opinion Dispensationalism is a modern ‘heresy’. Previous PostHole in the Sky.Next PostEvidence for Evolutionism #2. The male libido.